Kai Gehring is a senior researcher at the University of Zürich and Stephan A. Schneider is from Heidelberg University. After the recent series of pro-European politicians’ electoral successes, the EU can take a deep breath of relief. Although Brexit is underway, geopolitical uncertainty and loss of trust in the current US government made member states and the electorate appreciate the potential benefits of a union again. Different groups including individual member states, scientists, and the European Commission did well to use the current situation to issue more or less complex proposals for necessary political reforms. While rumours about Commissioners trying to (mis-)use their positions to favour their home countries or boost their own careers abound, our research now quantitatively confirms that Commissioners redirect significantly more funds to their home country while in office. For the position of the agriculture Commissioner, who oversees by far the largest budget, we show that the share their country of origin receives out of the overall EU budget increases by one percentage point during their terms, corresponding to about €850 million. This finding is in line with anecdotal examples of the behaviour of other Commissioners. In 2008, former German Commissioner Günter Verheugen successfully managed to weaken the limits put on carbon dioxide emissions in order to protect the German car industry. Current French Commissioner Pierre Moscovici is responsible for the enforcement of the new European fiscal pact. But he was one of the first to sign a request from his own French Socialist Party for the communitisation of national government debt on the European level. 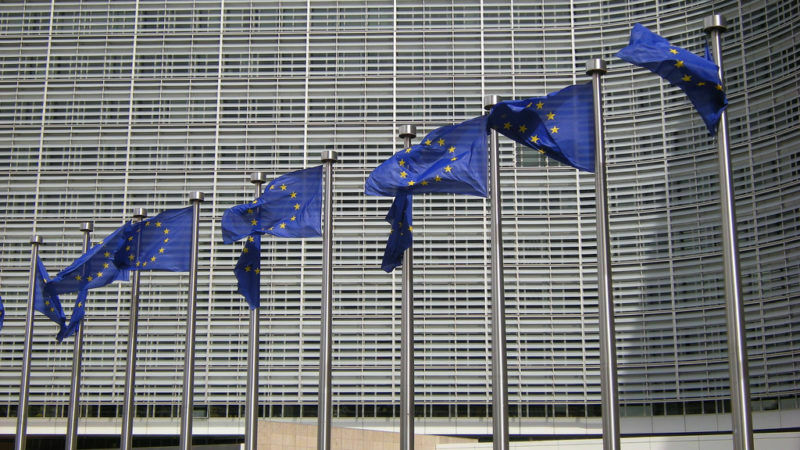 This is clearly at odds with the Treaty on the European Union, Article 17, stating that “the Commission shall promote the general interest of the Union” and is supposed to do its work “completely independent” and detached “from any Government or other institution, body, office or entity”. However, it is exactly what we would expect given the incentives set by the current system, in which Commissioners are appointed directly by member states. They are solely relying on their home country to re-nominate them for a second term. Even Commissioners interested in the common good feel the pressure to account for the interests of their home country (and party). Moreover, many Commissioners, in particular from smaller states, regard the EU as a stepping stone for a high-profile position in their home country. Of course, defending national interests in Brussels increases the chances of future electoral success at home. Finally, Commissioners could also simply feel the necessity or patriotic appeal to advocate national interests. Our research, featured in more detail here, is the first to quantify this often-suspected behaviour. The EU does not usually publish country-specific data on individual Commissioners’ budget allocation but we exploit the fact that the agricultural Commissioner alone is responsible for the European Agricultural Guidance and Guarantee Fund (EAGGF). That way, we are able to trace back all money spent on EU agricultural funds to individual countries and years. Our results show that when a country gets to appoint the Commissioner, the share the country receives out of the overall EU budget increases by about one percentage point – an increase that is clearly visible and cannot be explained by national characteristics or other economic or political factors. This finding should not be used as evidence that further EU integration per se is undesirable. Instead, we hope it helps to reinforce a critical debate about the best institutions for the European Union. Even if a majority of Commissioners have only the best intentions, a flawed system with the wrong incentives has historically never led to good results in the long run. It would, of course, be naive to assume that it will be easy to modify the current system against the vested interests of the involved parties. Nevertheless, it is absolutely crucial to ensure and set up well-functioning institutions before shifting more budgetary competences to the European level. We want to encourage everyone involved in this process – parliamentarians, media, and citizens – to critically supervise the signalised reform process and hold all involved actors accountable to achieve the goal of creating a better functioning union. As we are personally convinced of the necessity for better cooperation among the member states, we have some simple proposals to start a discussion and help the EU regain lost confidence. First, transparency about the Commission’s voting patterns and internal decisions should be improved, so that citizens, media, and science are able to provide checks and balances. Only a system that ensures the accountability of those in power is a truly democratic system. Second, the number of Commissioners should be based on efficiency concerns and their selection decoupled from the national origin. We are convinced that there are enough qualified candidates who will work “for the greater good” if the system sets the right incentives. Third, the EU should genuinely re-establish the subsidiarity principle and aim towards local decision-making close to the voters in case of large heterogeneities in voter preferences or information asymmetries between central and local decision-makers. Finally, a potential change of the European treaties should improve the democratic legitimisation and the legal capacity of the European Parliament. That means changing the election procedure for the Parliament to a “one-man-one-vote” mechanism and giving this Parliament the rights and means to supervise the Commission.